“O give thanks to the LORD, for He is good; for His steadfast love endures forever. Let the redeemed of the LORD say so…” What do you suppose the Psalmist was referring to when he wrote these lines? 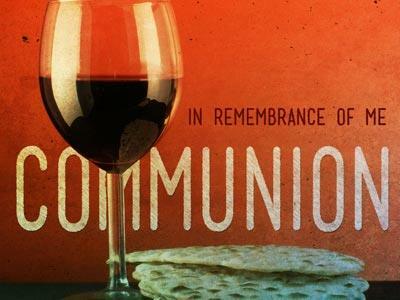 Since they were written approximately 2500 years before the birth of Jesus, I doubt he was referring to the sacrament of Holy Communion. But if we consider these words, we can readily see how well they would apply to the LORD’s Supper. Some have approached me and asked for an explanation of the meaning of Holy Communion, or at least to help better understand how we are transformed through it. Today, I am again going to depend heavily upon scripture, the Reverend John Wesley, and what he had to say about the reasons for communing. His sermon, “The Duty of Constant Communion” gives a very in depth discussion of his beliefs and theology concerning how we should celebrate this most holy of sacraments. Let’s return for a few minutes to the psalmist’s words. We can give thanks to the LORD in various and sundry ways, and we have every reason to do so. The psalmist tells us “He is good,” and we can agree with that because of all the blessings we receive from God. 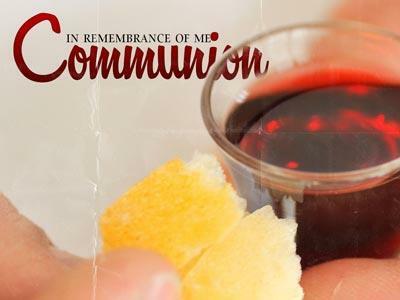 The psalmist continues by saying, “for His steadfast love endures forever.” One of the ways God shows His love to us is through the celebration of Holy Communion. 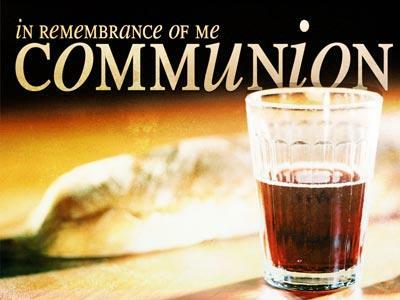 When we partake of this meal, we are in effect preparing ourselves for the holy feast before God’s throne in heaven. This taste of bread and wine are but a precursor of that time when we will all be gathered around the LORD’s table feasting with Him in all His glory. We are “the redeemed of the LORD,” redeemed through the shed blood of Jesus Christ; and by sharing in this meal we are saying so. When Paul wrote his letter to the people in Colossae, he was also in a round about way speaking of Holy Communion. His statement “Set your minds on things that are above, not on things that are on earth, for you have died, and your life is hidden with Christ in God,” calls us to reconsider where our priorities are. If we are indeed “hidden with Christ in God” then we have the duty to commune with Him constantly. Reverend Wesley says, “The first reason why it is the duty of every Christian to do so is, because it is a plain command of Christ.” (Outler, Albert C. & Richard P. Heitzenrater,eds., John Welsey’s Sermons: An Anthology, Abingdon Press: Nashville, 1991, pgs. 501-510) Jesus tells us, “Do this in remembrance of Me.” As a command from Christ, we are promised by it to receive eternal happiness, and if we refuse we will be in eternal misery. We might respond, “Scripture does not tell us to do this as often as we can; it only says do it in remembrance.” But is it not our call to obey every command from God as often as we can? The same concept applies to church attendance, but then that is another sermon.